Dine provides a total event management service for your corporate event, from canapé receptions to dinners, and venue finding to theming. The Dine team travels across the UK and Europe, delivering a first class service to make every event special. Dine’s experienced team combines venue finding and event planning (lighting, theming, logistics) with a core of exceptional food and service that will help you create the right impact. To celebrate the launch of their new showroom at JCT 600 in Leeds, Ferrari hosted an evening for 200 of their clients and Senior Event Management team from Italy. The Dine team created a canapé menu packed with Italian favourites, and recommended drinks as appropriate. Dine also took care of the finishing touches for the evening, providing smart linen, floral arrangements and co-ordinated the lighting within the showroom. The team of Chefs at Dine love a fresh challenge and designed a menu that included a variety of canapé and bowl food items from scratch that really impressed Ferrari’s top management. Dine served glasses of Prosecco and bottles of Peroni, much to the delight of the Italian contingent! 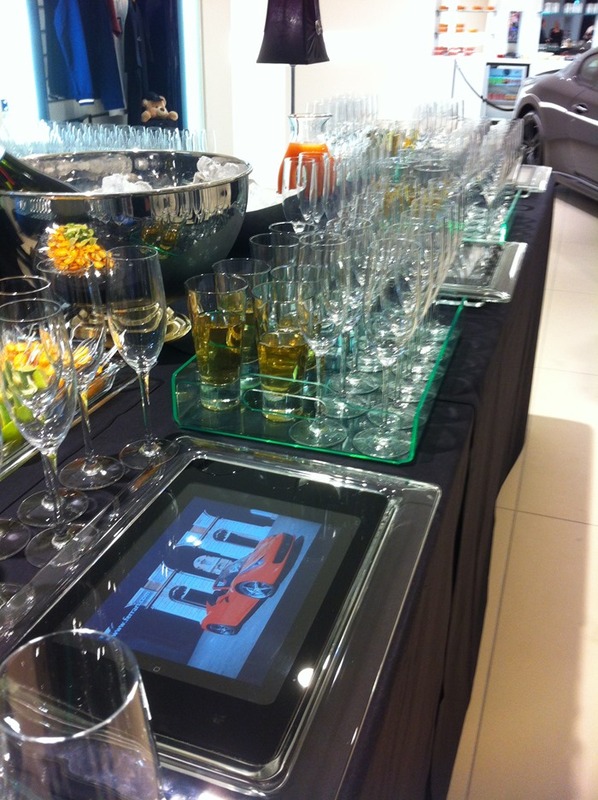 Dine’s Event Manager, Craig had also sourced some beautiful mirrored glassware to complement our existing glasses and Perspex trays, which looked fabulous under the showroom lights. 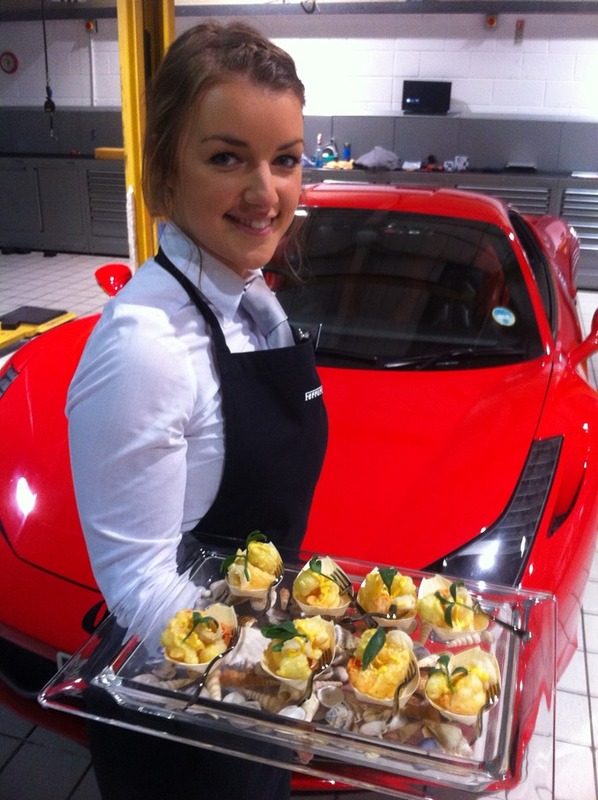 On this event, it was the small details, such as sourcing Ferrari-red napkins, red skewers, dressing staff in Ferrari aprons and the bespoke iPad trays that contributed to the success of the evening. 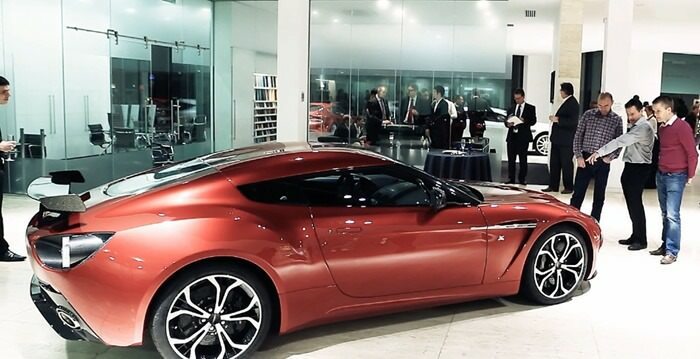 The additional attention to detail that the Dine team give to each and every event we undertake means that our clients return to us time and time again – in this case, Dine were naturally the first port of call when JCT600 were preparing for the recent launch of the F12 Berlinetta. Click here to find out more about how we can make your corporate event stand out from the crowd.